The SPROUT Awards are back! If you are interested in the SPROUT program, which offers funding for bench research, the Office of Technology Licensing is hosting Information Sessions for you to learn more on how to apply. Get your questions answered by the program’s administrators. There will be two separate sessions for your convenience: January 24th, 3-4 PM at Carl J. Shapiro Science Center Library and February 1st, 3-4 PM in Volen 201. Light refreshments will be served. 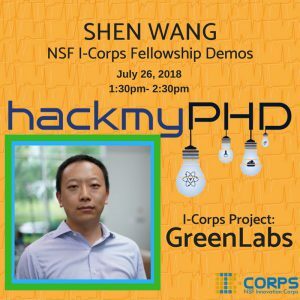 New this year, SPROUT winners may also be eligible for up to an additional $3,000 of I-Corps funding from the National Science Foundation. This extra funding is specifically earmarked for teams to conduct early customer discovery and validation of their technology. Those that go through the Brandeis I-Corps program then become eligible to apply to the National I-Corps program which provides grants up to $50,000. 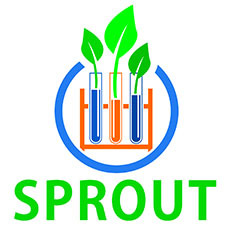 In the past, successful SPROUT applications have come from all departments in the sciences including Biology, Biochemistry, Physics, and Chemistry. Past candidates have proposed projects ranging from early-stage research and development to patent-ready projects. Many undergraduates, graduates, staff and faculty have all pitched various projects from a New Strategy to Treat Chronic Infections (Hedstrom Lab) to Development of a New Crystal Screening Chip (Fraden Lab) to a panel of outside judges in the hopes of receiving funding. Read more about SPROUT and learn about past projects. BrandeisNOW has a new story about the development of recombinant Factor IX Fc, a candidate drug for hemophila, currently in Phase III cliniical trials. The story behind the Fc fusion technology started in academic labs including Neil Simister‘s at Brandeis, led to a biotech startup (Syntonix), which was then acquired by Biogen Idec, who are now conducing clinical trials.